We are so pleased to welcome a pillar in the contemporary young adult community! 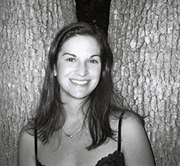 Hugely popular author Sarah Dessen is the author of eleven previous novels, which have been translated into twenty-five languages and are regularly chosen for the Teen Top Ten list and named as Best Books for Young Adults. Now Sarah is touring for the release of her new novel Saint Anything, an engrossing story of a girl discovering friendship, love, and herself. All ticket sales are now being handled through the Meridian Mall, Okemos Schuler Books location. To purchase tickets for our event with Sarah Dessen for Saint Anything, please contact the store directly at 517.349.8840. For each copy of (book) purchased, you will receive 1 ticket to the talk and signing, while tickets last. The signing will proceed after the talk in approximate ticket number order. Sydney’s handsome, charismatic older brother, Peyton, has always dominated the family, demanding and receiving the lion’s share of their parents’ attention. And when Peyton’s involvement in a drunk driving episode sends him to jail, Sydney feels increasingly rootless and invisible, worried that her parents are unconcerned about the real victim, the boy Peyton hit and seriously injured. Meanwhile, Sydney becomes friends with the Chathams, a warm, close-knit, eccentric family, and their friendship helps her understand that she is not responsible for Peyton’s mistakes. Sarah Dessen is currently considered a "single author." If one or more works are by a distinct, homonymous authors, go ahead and split the author. Sarah Dessen is composed of 2 names. You can examine and separate out names.